Goshen and Monroe drivers comparing the 2016 Honda HR-V to the 2015 Mitsubishi Outlander Sport don’t take long to select the former. With stronger efficiency ratings, superior interior space, and a generous list of standard features, the 2016 HR-V is a crossover which rises well above the competition. 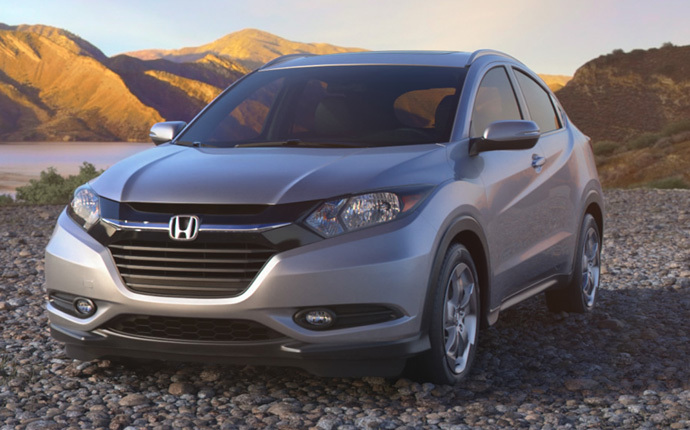 The 2016 Honda HR-V is offered in three trim levels, each available with either front-wheel drive or all-wheel drive. LX: The LX includes a multi-angle rearview camera for confident reversing, a remote entry system for effortless entry, and Bluetooth HandsFreeLink for constant connectivity on the go. EX: The EX model makes upgrades to both your comfort and convenience with heated front seats and a 7-inch audio touchscreen with Pandora functionality. 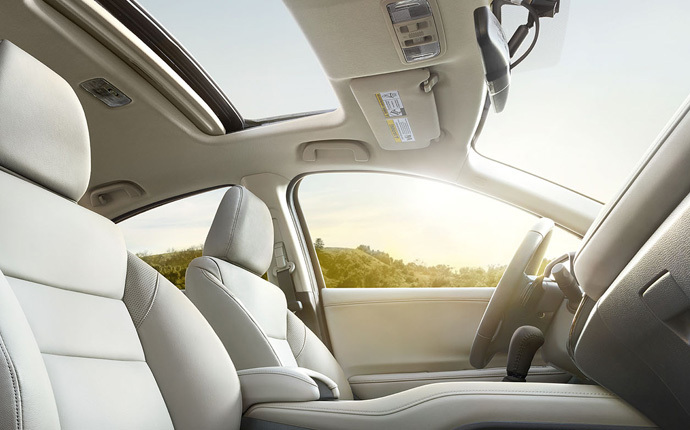 You’ll even enjoy a panoramic power moonroof as standard. EX-L: This is the trim for Goshen and Monroe drivers who demand a top-of-the-line driving experience. The cabin is leather-trimmed, and offers both a premium audio system and a satellite-linked navigation system with voice recognition. 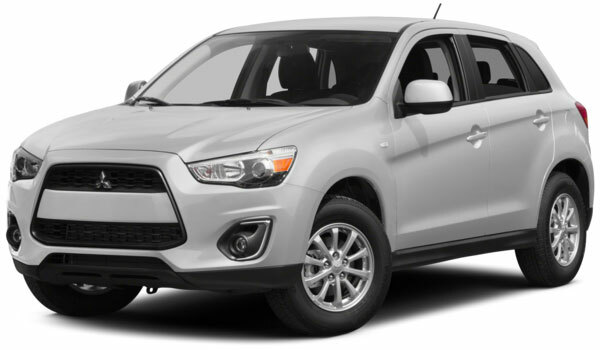 The 2015 Mitsubishi Outlander Sport is available in four trims, with standard features far less evenly spread out. ES 2.0: The entry-level model offers 18-inch alloy wheels, heated side-view mirrors, and steering wheel mounted audio controls. ES 2.4: Upgrades to a slightly more powerful engine with all-wheel control enabled. SE 2.0: Fitted with a 6.1-inch touchscreen display with Digital HD Radio, a rearview camera, and rain-sensing windshield wipers. GT 2.4: Comes equipped with heated driver and front passenger seats as standard. 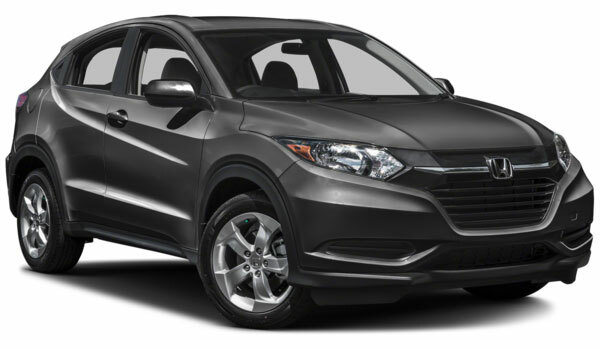 The 2016 Honda HR-V provides a strong blend of power and efficiency, while the 2015 Mitsubishi sacrifices running costs for a slightly more impressive output. 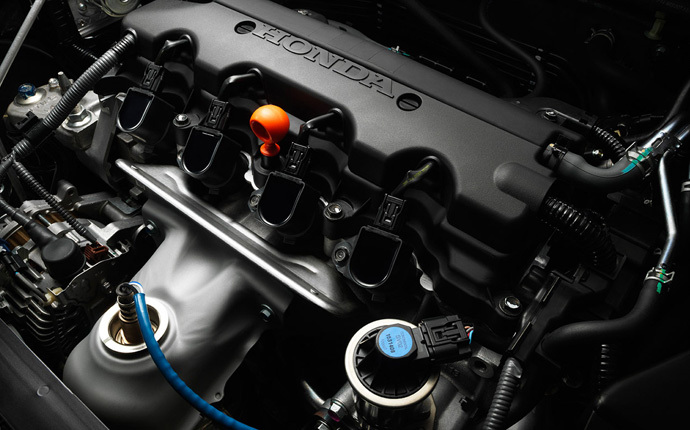 The 2016 Honda HR-V boasts the same advanced engine across all trim levels, ensuring that all Goshen and Monroe drivers benefit from strong, reliable performance. The 1.8L 4-cylinder engine puts you in control of 141 hp and 127 lb-ft of torque, and is available with your choice of a 6-speed manual transmission or a continuously variable transmission (CVT). You’ll earn 25 mpg in the city and 34 on the highway* with a manual transmission and FWD, or 28 mpg city and 35 mpg highway* with FWD and a CVT. The 2015 Mitsubishi Outlander Sport is available with two engines – a 149-hp 2.0L DOHC or a 168-hp 2.4L DOHC. Output is slightly higher than you’ll find with the HR-V, but that comes at the cost of efficiency. The best you’ll receive is 25 mpg in the city and 32 on the highway. Despite being a crossover, the 2016 Honda HR-V is modelled on the same platform as the popular 2016 Honda Fit – a vehicle noted for its impressive space and interior flexibility. The 2016 HR-V follows suit, offering an extremely expansive cabin compared to that of the 2015 Mitsubishi Outlander Sport. The first thing you’ll notice is passenger space. The HR-V feels noticeably larger, with 100.1 cubic feet to the Outlander Sport’s 97.5. However, don’t be fooled into thinking that the Outlander Sport makes up for that when it comes to storage space – there’s just 21.7 cubic feet as standard or 49.5 with all seats folded compared to 24.3 and 58.8 in the HR-V. The 2016 Honda HR-V doesn’t stop out outperforming the 2015 Mitsubishi Outlander Sport when it comes to space. Goshen and Monroe drivers will also benefit from a higher level of interior technology, with plenty of standard and available features which you won’t find in the Mitsubishi. A good example is the multi-angle rearview camera with guidelines. This innovative assistance device make reversing in tight or crowded areas a breeze, but you’ll only find one as standard with the HR-V. Even relatively common features cannot be enjoyed in the Outlander Sport. 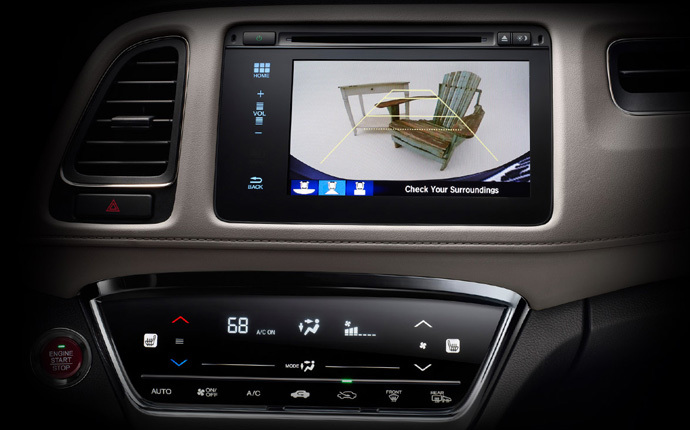 Unlike with the 2016 HR-V, dual zone climate control is not available in any trim level. The 2016 Honda HR-V is expected to achieve a perfect five-star score from the National Highway Transportation Safety Administration (NHTSA). This is thanks in part to its Advanced Compatibility Engineering (ACE) body structure, which intelligently crumples upon impact to help protect occupants. Honda have also fitted motion adaptive electric power steering on the HR-V, which works with a stability control system to alert the driver when they’re heading in the wrong direction during an evasive maneuver. 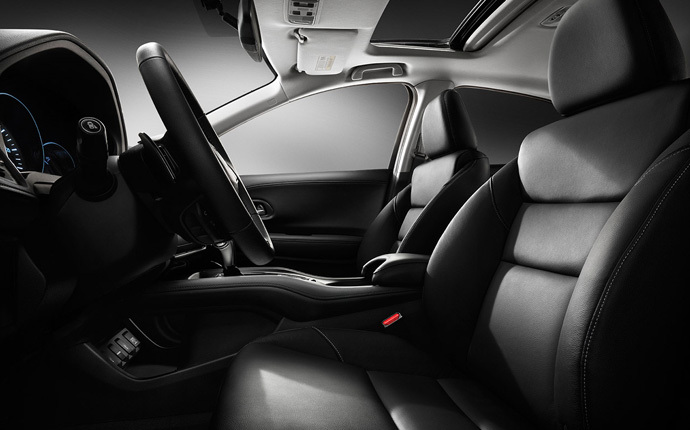 The 2015 Mitsubishi enjoys neither feature, and was only granted a 4-star rating by the NHSTA. The 2016 Honda HR-V roundly trumps the 2015 Mitsubishi Outlander Sport. To test-drive yours today, just come on down to the showroom at Middletown Honda. We can’t wait to see our Goshen and Monroe customers soon!